My brother and I used to fight over who went to get the fish and chips on a Friday night because our fish and chip shop had Pac Man – remember the way electronic games used to be? Sitting down to play a quick game of asteroids while you waited for your Chiko Roll? Like all things retro, Pac Man and other early computer game graphics are being revisited in modern design – prints for fabrics and t-shirts and decor pieces can be found for those who aren’t ready to let go of their own childhood. 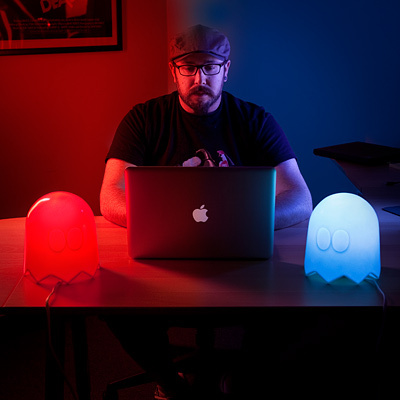 Which is why we think these Ghost-meets-Pac Man lamps are pretty cool. 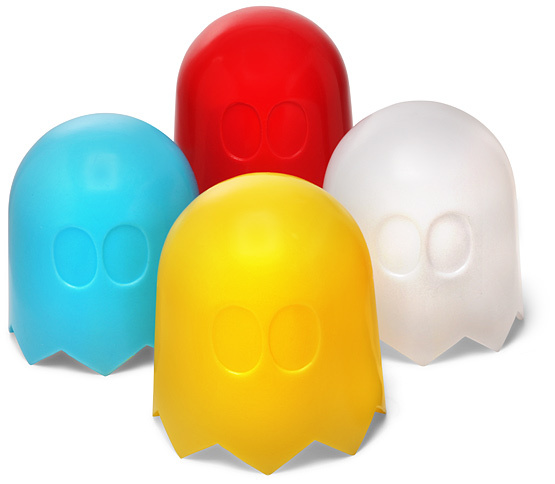 Available in four colours from Think Geek for US$69.99, these cute little Ghost Lamps are marketed as desk lamps but I think they’re better as spooky but sweet nightlights. Think Geek ship to Australia although as the lamp is an electrical product it will need to be rewired to meet Australian safety standards.